Samba Shaker Single MEINL medium. ..
Samba Shaker Double MEINL medium. ..
Floatune Tamborim ABS 6" Meinl.Tamborims played with a plastic stick while the other hand c..
Floatune Tamborim 6" Aluminum, Chrome plated MEINL.Tamborims played with a plastic stick wh..
Modern style a-go-go, small Meinl. .. Traditional style a-go-go bell,medium MEINL. 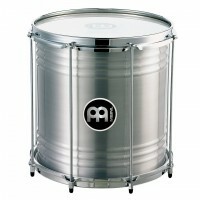 ..
Modern style a-go-go, large Meinl. ..
REPINIQUE MEINL Aluminium, 10" x 10". ..
REPINIQUE MEINL Aluminium, 12" x 12". ..
SURDO MEINL Aluminium, 18" x 22". ..
SURDO MEINL Aluminium, 20" x 24". ..
SURDO MEINL Aluminium, 22" x 24". ..